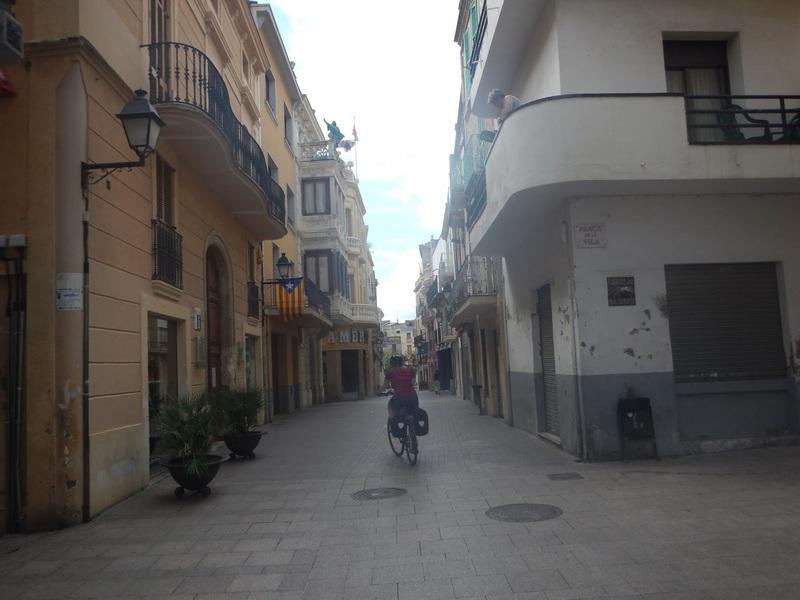 Being new to cycle touring, Philip and I looked for a tour on the easier end of the spectrum and were drawn to this option from Terra Diversions. 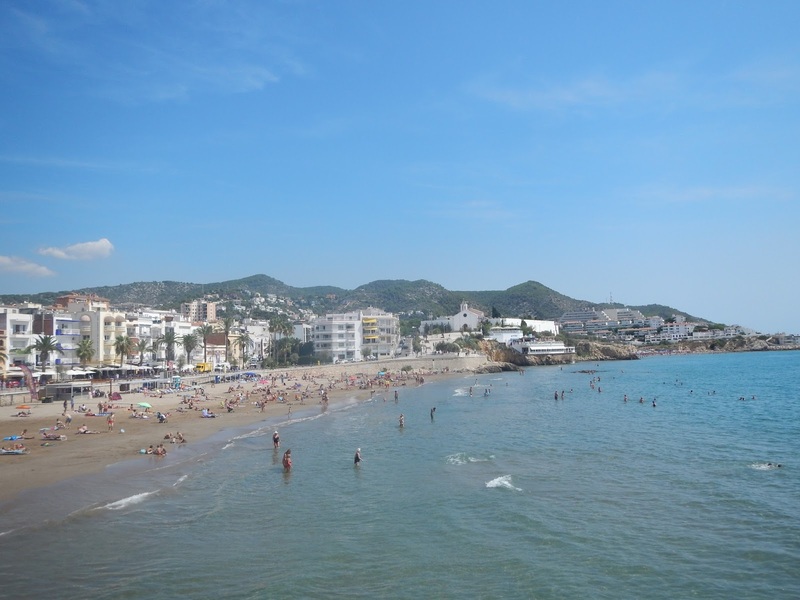 The company had excellent reviews and the route seemed perfect for us, seeing how it would take us from beautiful Barcelona to the Mediterranean coast while looping directly through wine and cava country. 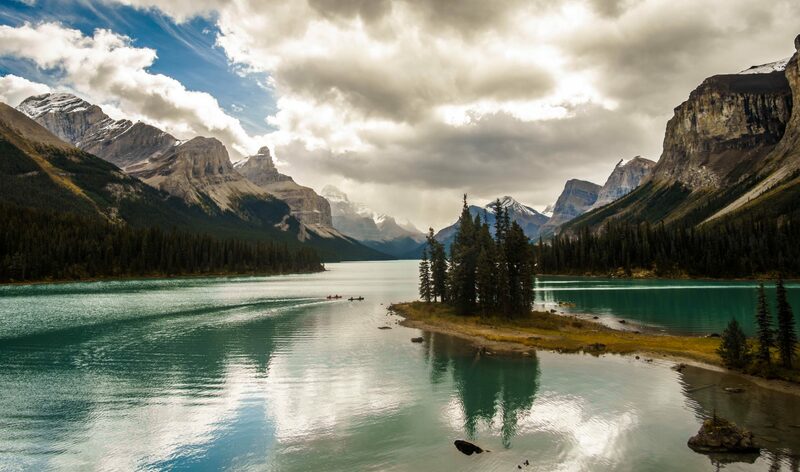 I contacted Nora from Terra Diversions while still in Canada and she confirmed our bike rentals, hotel bookings, and guides. Terra would also provide all the necessary equipment like helmet, panniers, pre-loaded GPS, and maps. Once in Barcelona, we went to the store to be sized for the bikes and go over the route once again. They were also kind enough to let us store the bags we wouldn’t be bringing with us at the shop while we rode. After the briefing, Nora stated that after a few minutes on the bikes, we would become great friends and she couldn’t have been more right. The route we ended up taking was a little different than the one advertised on the website and since the first and last days were ones where we simply put our bikes on the train, the daily average was more like 45kms than the 19km advertised. I was a little nervous doing 45kms a day with elevation in light of my easily-aggravated knee, but it turned out to be very manageable. 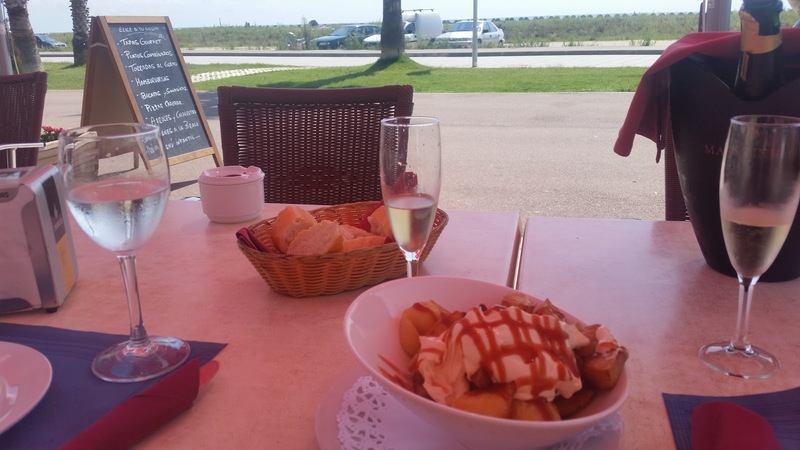 Especially if you break up your bike rides with a nice long lunch with delicious Catalan food and cava. We subscribed to this philosophy so much that cava lunch became a daily thing for us. As we became good friends with our bikes like Nora predicted , we grew more and more fond of travelling by bike. There is something so freeing about travelling somewhere by two wheels. You get to feel the air on your skin as you make your way to your destination and you are burdened only by what you can carry with you. Having less material things to worry about makes it easier to appreciate the sights, sounds and tastes before you. 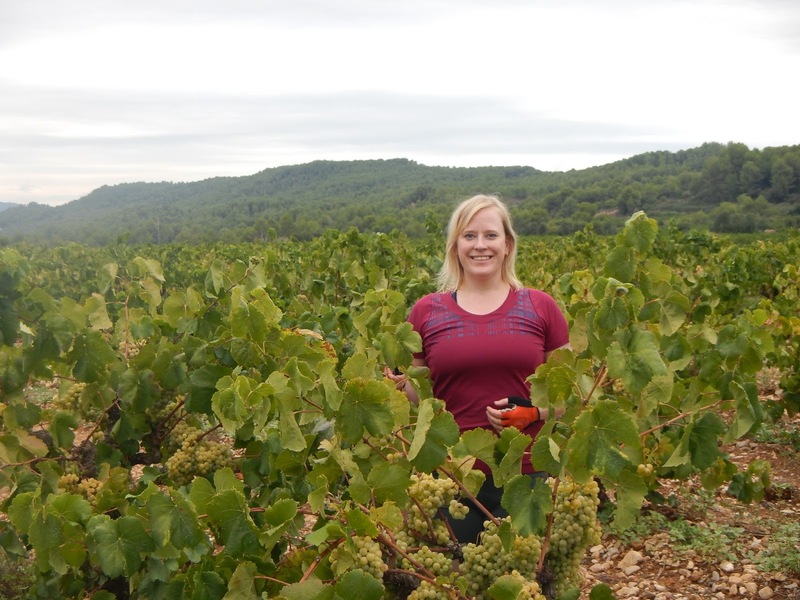 That said, we made sure to pack our panniers lightly before leaving Barcelona so we would have room for treats like freshly pressed chocolate, seasonal produce from village markets, and wine and cava right from the source. There is also a special satisfaction in climbing a steep hill and then letting rip on the descent as we both saw and experienced ourselves during our second day of biking. Since were riding hybrid bikes and carrying a week’s worth of things in our panniers, we were understandably slower than the lycra-clad locals who breezed passed us with their sleek road bikes on the beautiful Mont Rubi’s steep incline. Our journey was through and theirs was only up and then down. Having made it to the top so much faster than us, they treated us to their beaming smiles as they flew back towards us downhill. 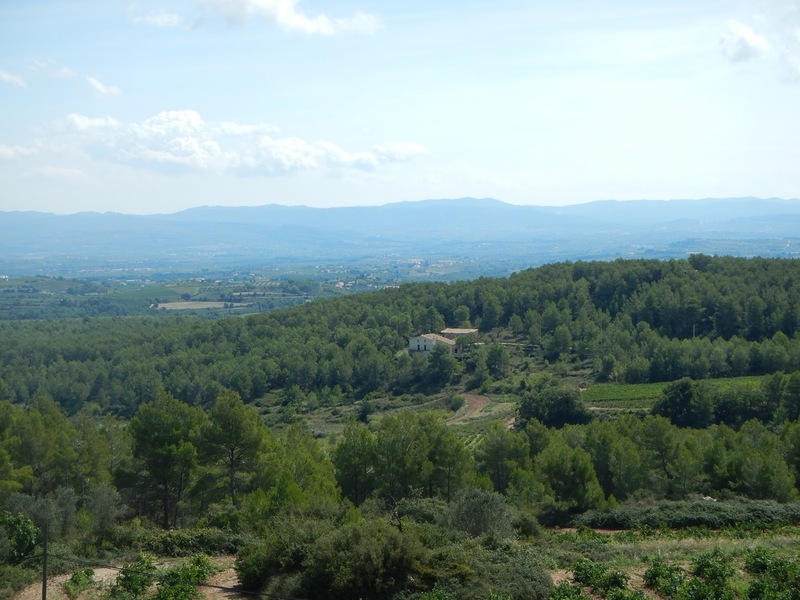 Soon enough it was our turn, having gained the mountain, we descended quickly toward a medieval village where a delicious seafood lunch with cava, as well as a 12th century church and 15th century castle awaited us. Finally getting to the downhill side of Mont Rubi. Our remaining rides took us through the lush nature park, Parc Del Foix, past a 10th Century castle and its ancient-looking town that made us feel like we had biked back in time, across cobblestone streets that creaked when we rode over loose stones, alongside sandy Mediterranean beaches, and over lush green rolling hills covered in grapes for as long as the eye could see. For the most part, we road on rural roads which we often had to ourselves. When cars appeared, they seemed to comfortable driving around cyclists and gave us a lot of room so we always felt safe. The GPS and maps were enough to keep us on the right track and we found the locals to be exceptionally friendly and helpful despite the language barriers so we never got lost. Philip taking a break in front of a castle. 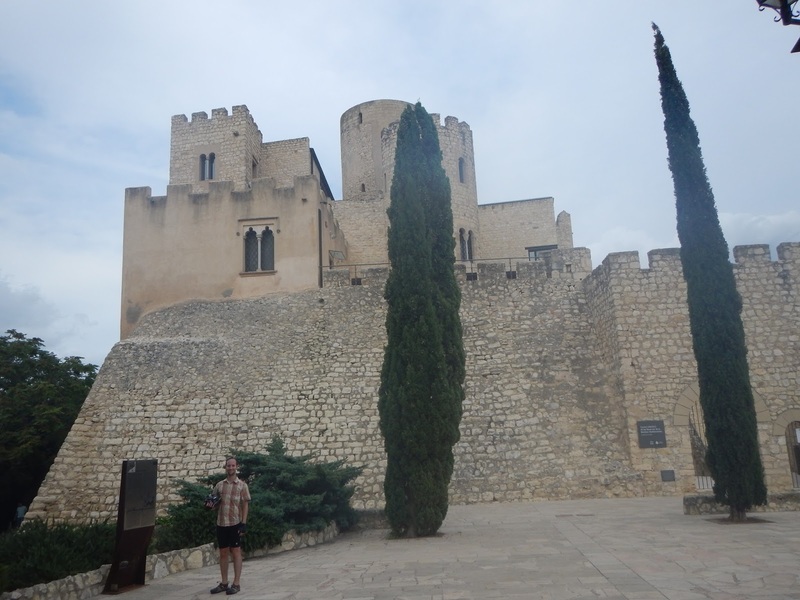 The only thing that would harsh our Zen was that attractions like Castellet Castle and certain smaller wineries were often closed, even when their posted hours said they should be open. These closures seemed to go beyond the infamous Spanish siesta, where a lot of restaurants and businesses close during the heat of the day. Still, we found that even in small villages, at least one restaurant would be open, as well as a butcher and a bakery so you would never go hungry. Although, you could risk being deprived of cava, and that’s a very unfortunate thing. 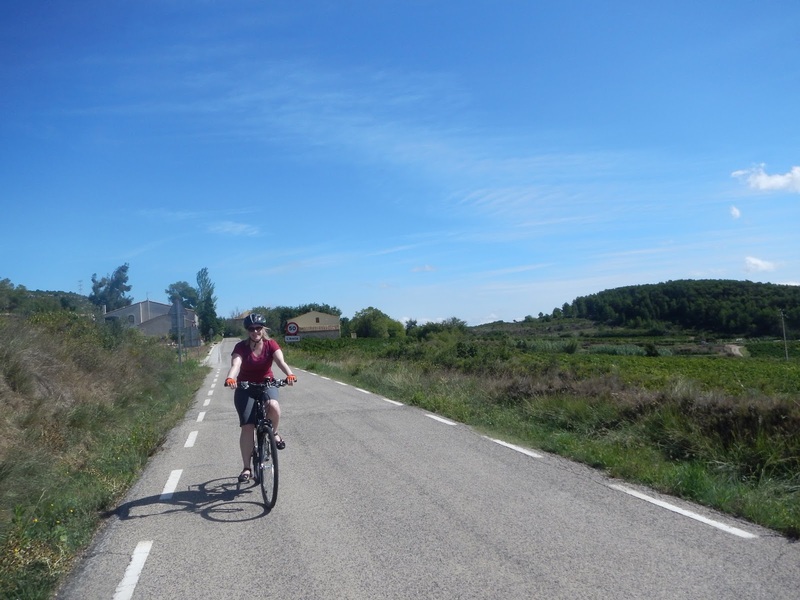 Overall, our cycle tour through the Penedès was a blissful, sun-soaked and cava-drenched 6 days that we will not be likely to forget any time soon. Travelling by bicycle is an excellent way to stay active while abroad and also take the sights in at a slower pace. In short, it’s Zen on two wheels.